One of the great things about the ICCA Finals is that it's a culmination of the best and most diverse talent of all the ICCA competitors. Look at it this way, there are nine Semifinal Champions coming from all over North America and the United Kingdom. Each group is from a different region that has their own unique musical identity and appreciation, ultimately affecting a group's song selection and the way they present said music. This is evident in the ICCA Finals set of the University of Waterloo's The Water Boys, the only all-male group to compete in this year's Finals contest. While the group tackled some current Top 40 artists such as One Direction, Maroon 5 and Kelly Clarkson, their interpretations of songs by The Beatles and OK Go really helped the group's set to stand out. What also worked in helping to set them apart was the humor they brought to songs along with the entertaining dance moves. 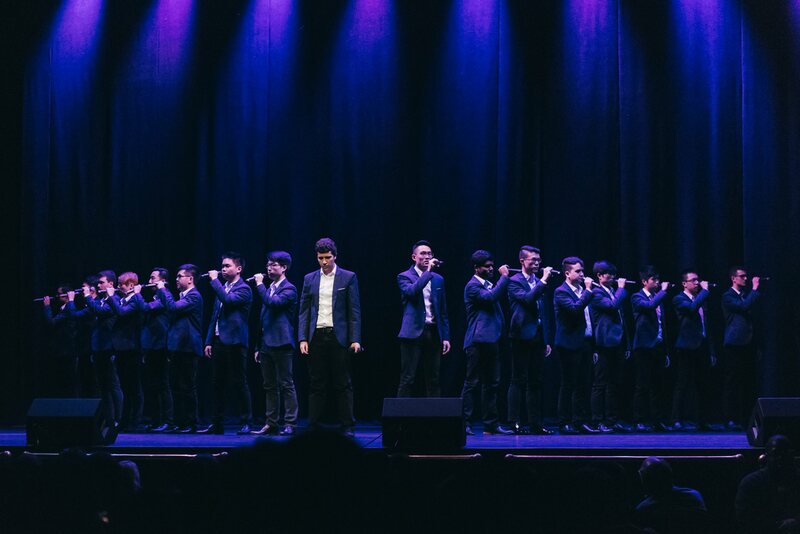 The light-heartedness that The Water Boys was a refreshing element to the ICCA Finals that featured groups with more serious tones and heavy emotions. This is what the contest is all about, seeing performances and interpretations of music from as many angles as possible. Check out the The Water Boys' full ICCA Finals set below.